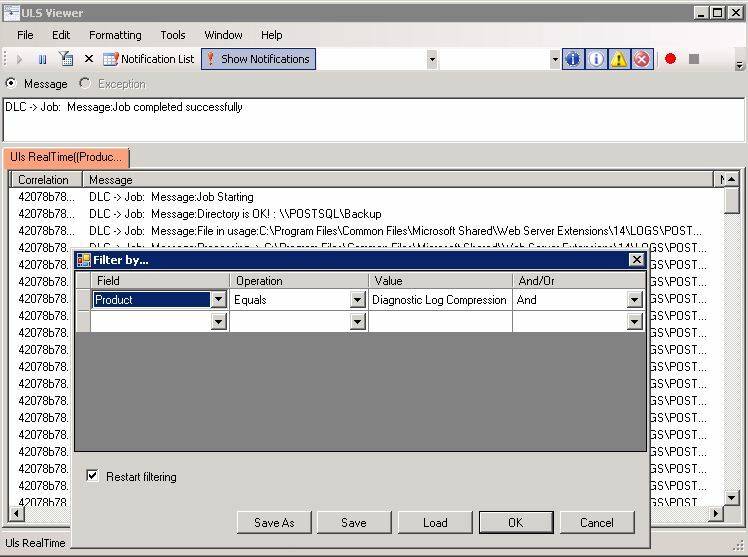 1) Check all WFE and APP servers gac folder that the assambly file of DLC named “DiagnosticLogCompression.dll” has registered. 2) Check Sharepoint Timer Job Service is running and has correct account on every WFE and APP Servers. 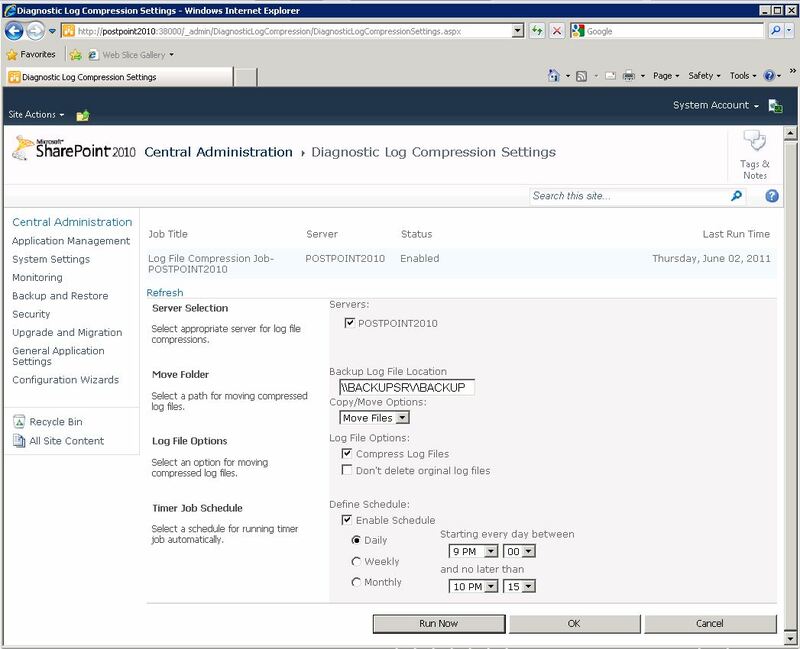 CA-> Site Settings -> Manage Site Features and check Diagnostic Log Compression Feature is activated. 4) Check Sharepoint Timer Job Service Identity has enough rights to read/write to destination folder for log copy/move operations. 5) If you are using UNC path check from every WFE and APP server havent any connection problem to reach defined UNC. 6) Monitor from ULS Log via ULS viewer that Compression job is running as expected. 06/10/2011 19:36:03.45 OWSTIMER.EXE (0x21BC) 0x2018 SharePoint Foundation Topology umbo High The type DiagnosticLogsHelper.JobLogCompress, DiagnosticLogCompression, Version=1.0.0.0, Culture=neutral, PublicKeyToken=c1b6bc305019fff6 could not be found in its specified assembly. 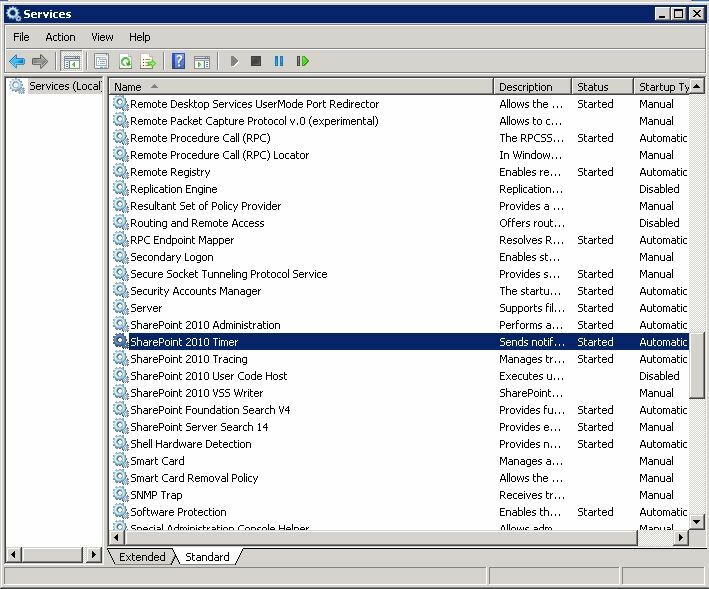 Scanning all assemblies that have been loaded in the current app domain. You can select by checking required servers from checklist for operations.DLC creates one timer job per selected server. 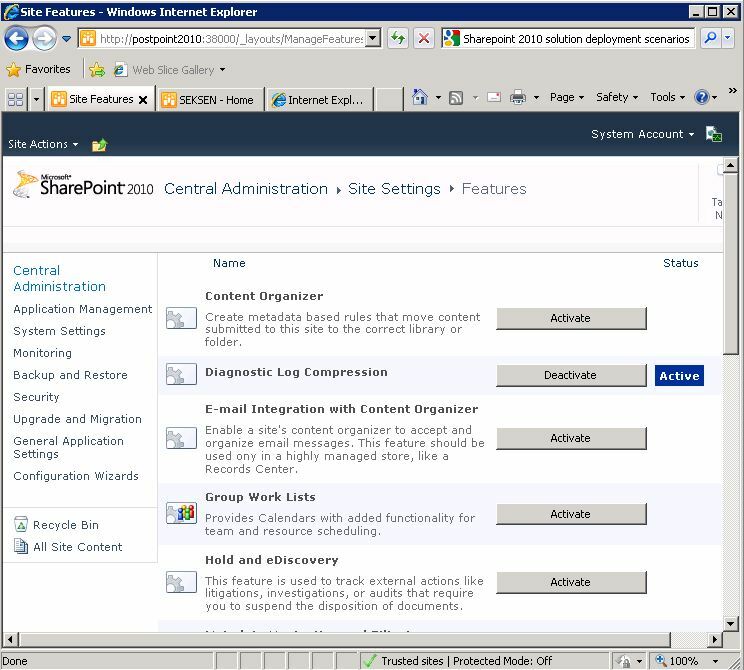 No Action : Log files can not copy/or move to another path but if compression is active the file which has “log” extention has to be compressed in default sharepoint log folder. 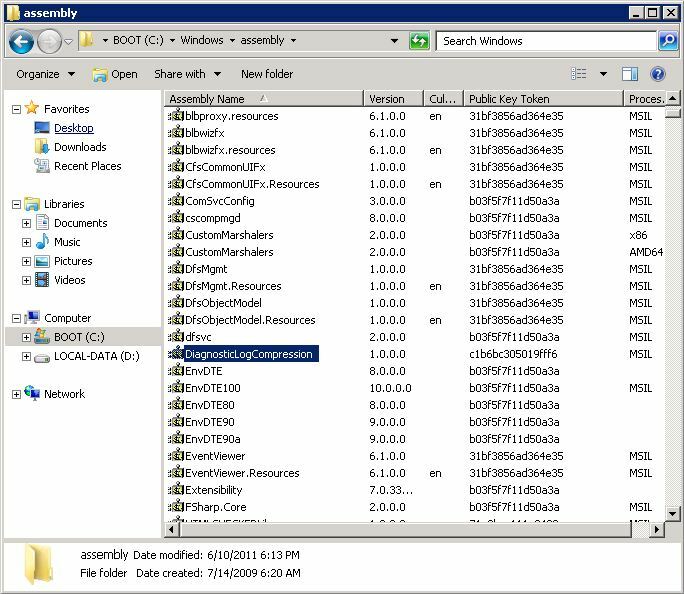 Copy Action: If this option is selected than the Compressed Log files or Log files are copied to defined path. Move Action : if this option is selected than the compressed log files or log files moved to the defined path. 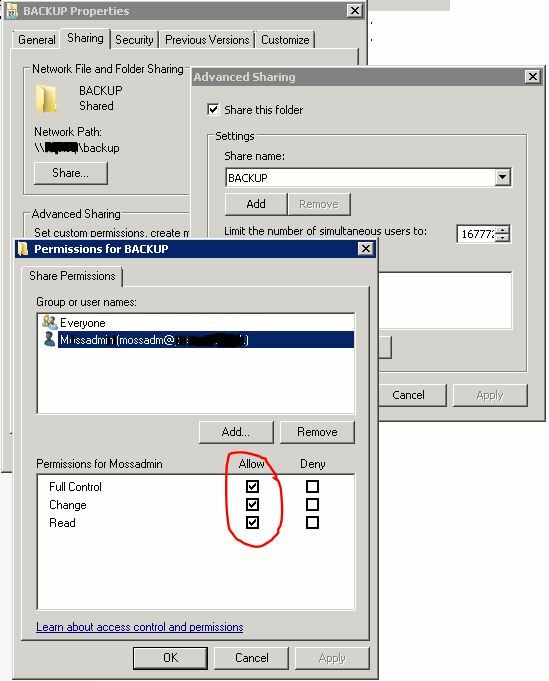 IMPORTANT : Don’t forget to check your folder permissions that Sharepoint timer service account on each server has read/write rights to this folder for prevent an unnecessary access denied error. Compress Log Files: If this check is selected every file in default sharepoint log path will be compressed. And the orginal log file will be deleted. If move action is set to copy or move option this compressed file be copied or be moved defined path. IMPORTANT: By default original log files will be deleted in compression mode. Don’t Delete Orginal Log Files : If this check is selected even if compression option is selected original log files will not be deleted. Compressed file will be created in same folder. Even if move action is set copy or move option orginal log files can not be copied or moved to defined path. Timer Job Schedule: when dlc configuration is completed it creates a timer job for each selected server. ( If timer job already exists it updates) You can configure for a schedule these timer jobs according to your envoriment. there are tree option for timer job avaible Daily,WeeklyMonthly. Quick FAQ : What happen if i set compression mode to false than set move option and “Don’t Delete Orginal Log Files” option true ? Answer is simple : instead of moving it just copies orginal log files not delete them. Quick FAQ: Could i set different schedules to specific servers ? Answer: no.